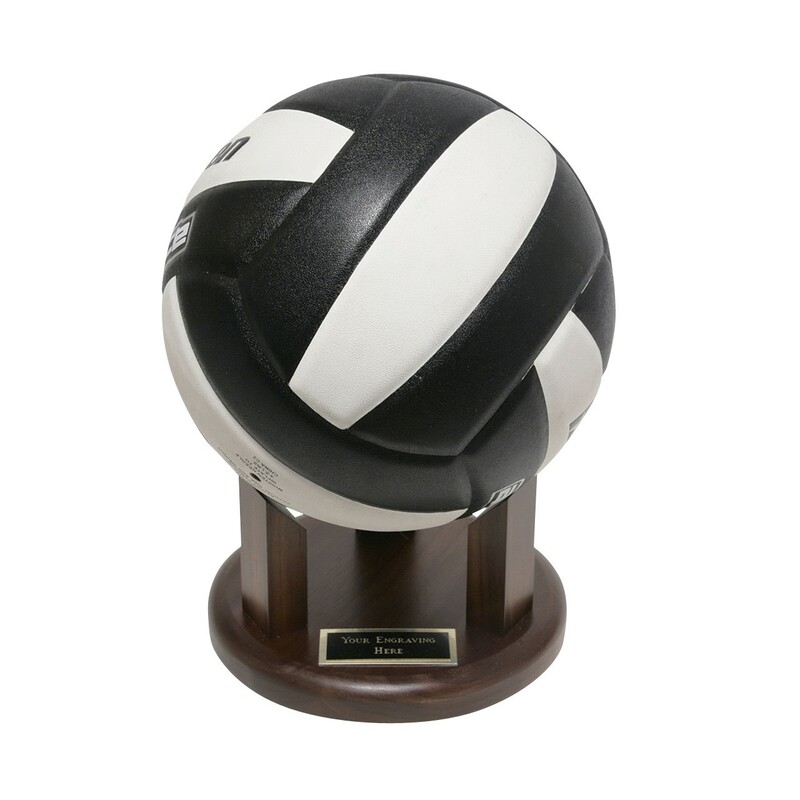 This Solid Walnut Volleyball Holder will accommodate your prized volleyball! It makes a great coach's gift - have your team autograph the game ball and your coach will display it with pride. Holder is 7" in diameter and 3.75" high and includes 3 lines of engraving on a black brass plate that you attach where you prefer. Note: Volleyball not included.